A cycling holiday in Canada is the best way to get up-close and personal with the dramatic scenery of this massive, fascinating country. With mile upon mile of wide open natural beauty, Canada has millions of pockets of wonder and Macs Adventure will help you explore the very best of them from the saddle of your bike. There is so much to explore in Canada, but we have started our focus with a couple of the classics. Cycle through the overpoweringly beautiful scenery of the Rocky Mountains on our Canadian Rockies: Biking Banff to Jasper trip. Or if you fancy the East Coast, we have opened up the stunning South Coast of Nova Scotia for self guided cycle discovery. 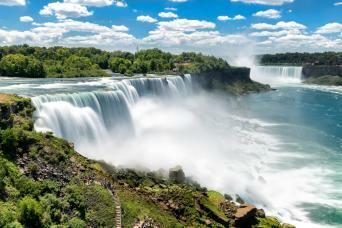 Enjoy a biking adventure exploring Niagara Falls, the Great Lakes and Niagara's booming wine country. 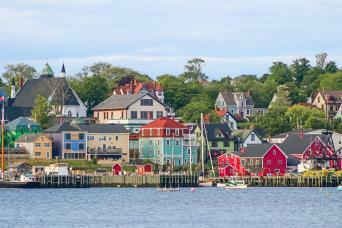 Explore the beauty, charm and history of Nova Scotia’s South Shore on bike path, cruising through wooded forests to overnight seaside villages. 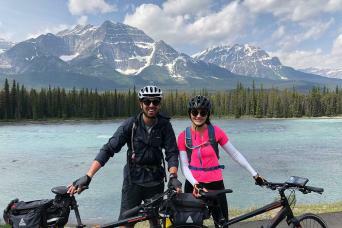 On the bike tour of a lifetime, pedal from Banff to Jasper through the Canadian Rockies, staying at lodges a day's ride apart.